This application demonstrates how the Strain Gauge Amplifer (SGA) was used in the Wave Energy Prize sponsored by the US Department of Energy. 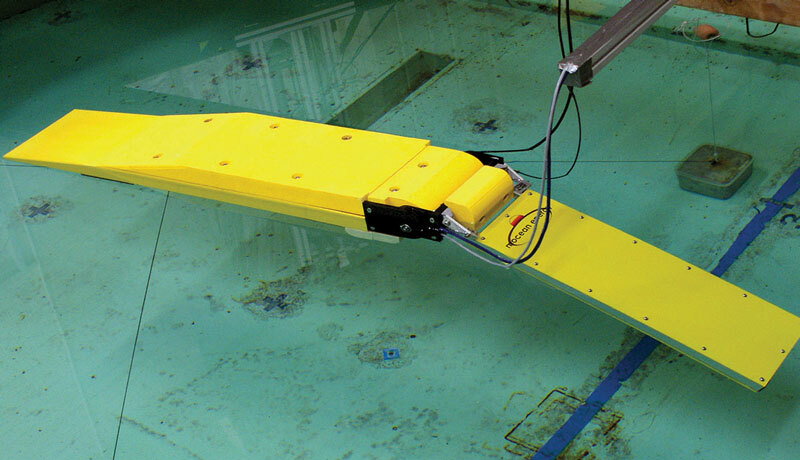 In conjunction with Mantracourt’s Business Partner, Applied Measurements Ltd, they provided Mocean Energy with a complete torque measuring system for a 1/50th scale model wave energy converter. The prototype was tested and evaluated in a wave tank with plans for a full scale version to convert wave force into electricity. The SGA conditioned the torque sensor’s output signal into a high-level industry standard signal ready for integration to a data acquisiton system. Industry standard analogue outputs (± 5, ± 10, 0-10 and 4-20mA). 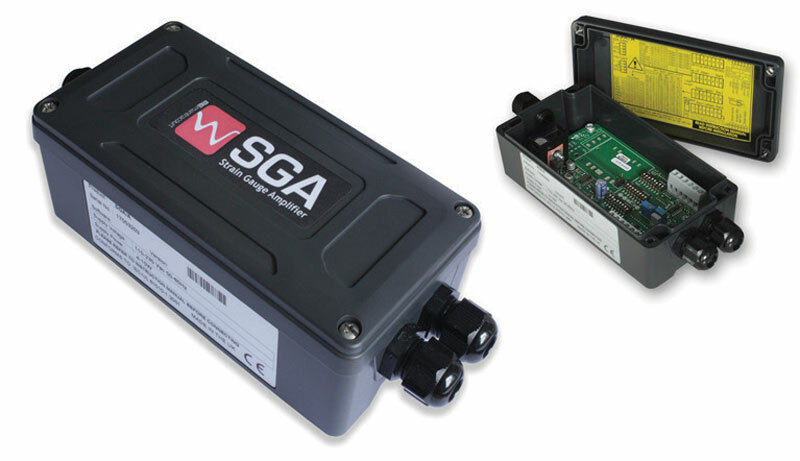 The SGA provides a stable, high accuracy, low noise output signal for control and analysis applications. 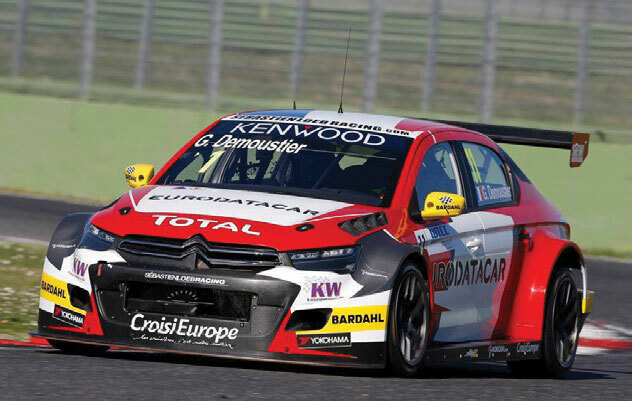 The world of motor racing is highly competitive and one of the keys to success is to manage and optimise the balance of the race car. 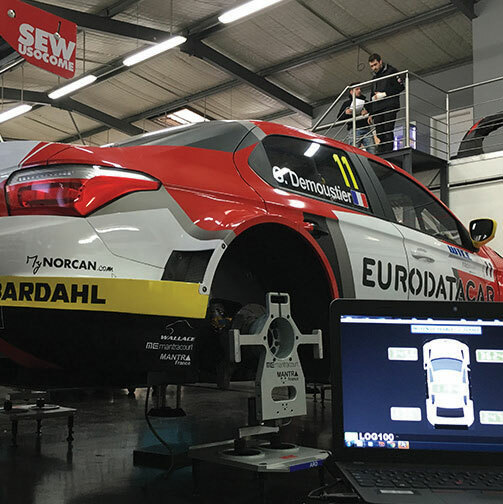 Mantracourt, a leader in high precision measurement electronics, through its French distributor Mantra France, has been working with the Sébastien Loeb Racing (SLR) team to supply a weighing system that would give their cars a competitive advantage. Simple to use system provides accurate and repeatable data. Wireless acquisition modules provides data to powerful data logging software for a graphical representation of the car’s weight distribution. A generator company were looking at a number of motors to potentially incorporate into their generator design. Each motor had rated power outputs but the company wanted to independently measure the power output of the various motors whilst in the generator housing, drawing various loads from the electrical supply. 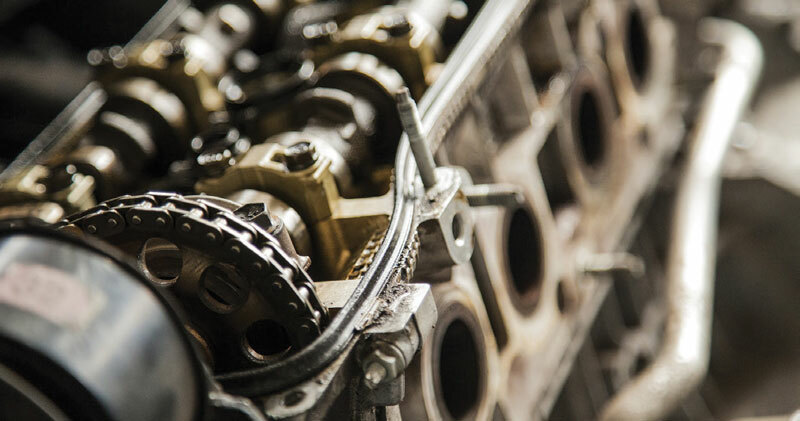 Mantracourt’s T24 range enabled the company to measure the torque on the shaft between the motor and generator windings and then multiply this by the RPM of the shaft. In order to capture the torque, the shaft was fitted with an inline torque transducer; a T24-ACMI-SA strain acquisition module was calibrated to output the torque in Nm. The RPM of the shaft was captured using an optic sensor which created a pulse every time a white dot on the shaft passed the sensor; this sensor was coupled to a T24-ACMI-PA pulse acquisition module which calculated the RPM of the shaft. Rotation and temperature data were also captured. A Single Computer with a T24-BSu USB base station was used to collect the data from all of the units, meaning that synchronised data from the pulse and strain acquisition units could be logged back to a single CSV file, so output power can be calculated easily by multiplying the two values. Free T24LOG 100 software provided engineers with a range of logging options to facilitate analysis. Maximum transmission rate of 200sps enabled the project team to ensure that at least 100 readings will be received by the base station regardless of possible radio collisions.